You may be one of the many people around the world who is suffering from infertility. Some medical issue may be preventing you and your partner from conceiving, but you do not have to give up on your hopes of becoming a parent. There are various options available to you and your spouse. Two of those options are In Vitro Fertilization (IVF) and adoption. These two are very different procedures, but if they are successful, both can have the same result: You become a parent! IVF requires you to take counseling before you can begin the procedure, so you understand how the process works. Your egg – or donor egg – will be fertilized outside of the womb with your husband’s sperm – or donor sperm. Once the egg is fertilized, it is placed into the uterus. You are required to be in good health before you can start IVF. There are also age requirements associated with IVF, which will vary from clinic-to-clinic. When you apply for adoption, there is a lengthy process that you must go through. The timeframe for adopting a child varies from state-to-state, and country-to-country. One similarity is waiting. Regardless of where you live, the adoption process will take a while due to screenings and pertinent paperwork. Social workers must verify that you are capable of providing a stable home for the child. You must also undergo an extensive background check. You may be wondering which of the two procedures would be the best option for you. The answer will vary. IVF may be a good option for you, but that does not mean it is the best option for another couple. We can compare both procedures, and let you decide between the two. With IVF, you are not guaranteed to get pregnant. Likewise, you are not guaranteed to be approved for adoption. Both options will require your patience and faith. If you choose to adopt, you will not be required to undergo medical tests, injections and procedures. If your IVF cycles are not successful, you can keep trying. It is up to you to stop trying if you continue to be unsuccessful. There is no legal limit to how many IVF cycles you can have, but there are legal limits for adoption in some states and countries. In Australia, you cannot adopt a child if you already have multiple children. 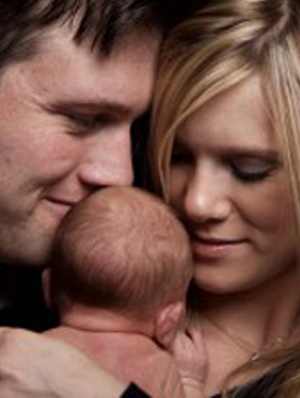 On the other-hand, if you already had a successful birth through IVF, you can have the procedure done again. The only limits with IVF are the embryos. In some countries the government puts limits to the amount of embryos that can be transferred, but you do not have a limit on your cycles. You should be aware that if you are receiving IVF treatments, you may not be eligible for adoption. If your IVF procedure is unsuccessful, and you are not taking any more cycles, you can start the adoption process. IVF and adoption are both procedures that can help you become a parent, but neither of the two is guaranteed. After you have thoroughly compared these two options, you and your partner will need to make the best choice for your family. If you decide you would like to pursue IVF, we offer a free and private consultation within 10 working days, so that you can get all of your questions answered. This consultation can take place in the comfort of your own home via skype or in one of our offices located at Bundaberg or on the Sunshine Coast.